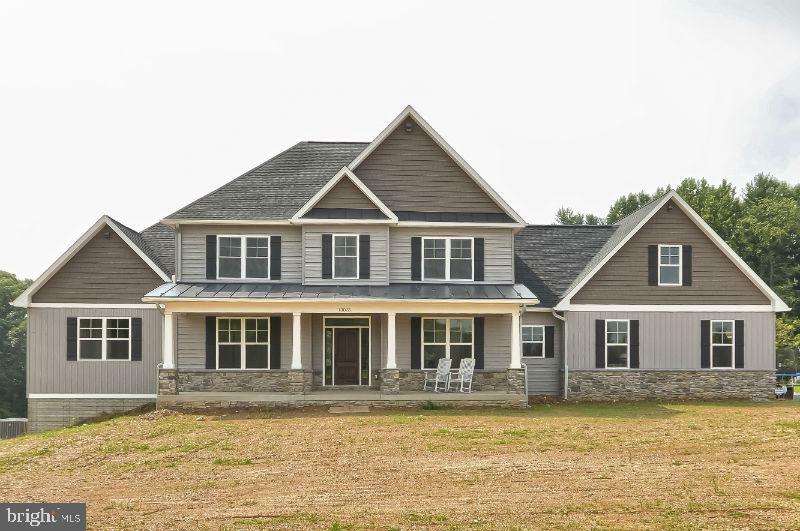 All Frederick homes currently listed for sale in Frederick as of 04/24/2019 are shown below. You can change the search criteria at any time by pressing the 'Change Search' button below. "Rare opportunity to own one of the most gracious and elegant homes in Baker Park. Old world elegance and architecture meets totally updated and modern interior!! This stately home which has been a loved sight along Rockwell Terrace for many years has undergone a total transformation; however the final renovation is sympathetic to modern and easy entertaining; elegant yet open plan; traditional yet with every updated feature your heart could desire. The home is situated on a double lot; has it's own private renovated pool and three garages with access in the rear, as well as a shed for extra storage. Step into the foyer and admire stunning hand made light fixtures and refinished floors. In places the flooring has been totally replaced, other areas the older floors have been lovingly restored. Benjamin Moore white painted walls show your art in the best light. Windows are painted elegant black trim on the inside looking out over Rockwell terrace or the beautiful yard in the back. The dining room has been totally renovated to accommodate a more relaxed entertaining style with access from the kitchen where the Lacanche range with dual fuel ovens and the marble waterfall island provide a stunning backdrop to prepare elegant meals for guests and family while enjoying the view of the pool. The cozy morning room is a wonderful place to enjoy morning coffees or after work cocktails. The living room offers a relaxed environment; walk through to the screened porch off the side of the home. The master suite delivers sheer comfort and elegance; step inside your own oasis to relax and unwind at the end of the day. A large personalized dressing room accommodates your valued possessions in a beautiful and well-designed layout. The master bath has pre-programmed shower settings and stunning fixtures. A second bedroom and bath as well as a balcony are also featured on the first level. One level up is a stunning bedroom and completely modernized bathroom. Enjoy the spacious"
"Welcome to Whispering Creek, a beautiful 9.8 acre estate lot in the prestigious community of Greer's Landing. Very private but minutes from Urbana Schools and shopping. A majestic to be built luxury home, designed by an award winning architect to be your forever home, is thoughtfully planned out for today's life style. The home site is approximately 340 feet from the water's edge, and located on top of a knoll about 80 feet overlooking Bennett Creek. The floor plans feature over 4800 finished square feet on the first two levels and a walk out lower level with another 2328 square feet. Luxury abounds in this amazing home including a gourmet kitchen, a grand first floor master suite, room for a future elevator, an additional 4 bedrooms and 3 baths on the upper floor including a second master suite, plus a huge walk-out lower level to custom finish as you please and for Dad, a 3 car side load garage. Contact us for details and floor plans." "Beautifully Restored Historic Derr Mansion! 8BR, 3.5 bath! Granite counter tops, chef's kitchen, restored original wood floors throughout... a must see!" "Fantastic custom house on a 1.3 acre lot in desirable Urbana School District! This home is a real show place with over 5300 finished square feet. 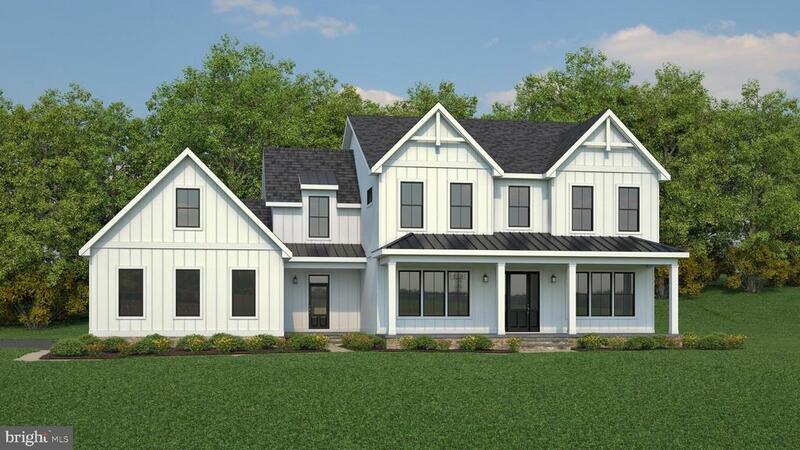 The main level features a gourmet kitchen w/ center island, stainless appliances, granite counters, loads of natural light, hardwoods throughout, masonry fireplace w/ a stone facade in the family room, separate formal living room and dining room and a spacious office. The walk out basement is a grown up playground with a pub style bar, fireplace, large rec room and a full bath. This home also features a lovely master suite and three large secondary bedrooms and a playroom upstairs. But the real show stopper is the outdoor living space! Stunning views in every direction...an observation deck on the third level, screened in porch, spacious patio w/ a gold fish pond and hot tub and a wrap around porch. Got a horse? There is also an awesome boutique barn with 3 stalls, play loft and electricity and a fenced half acre pasture! (There is also a potential opportunity to lease surrounding pasture) No ponies? No problem! The barn can easily be repurposed into a she-shed, a work shop, a garage....The possibilities are endless! A truly one of a kind home!" 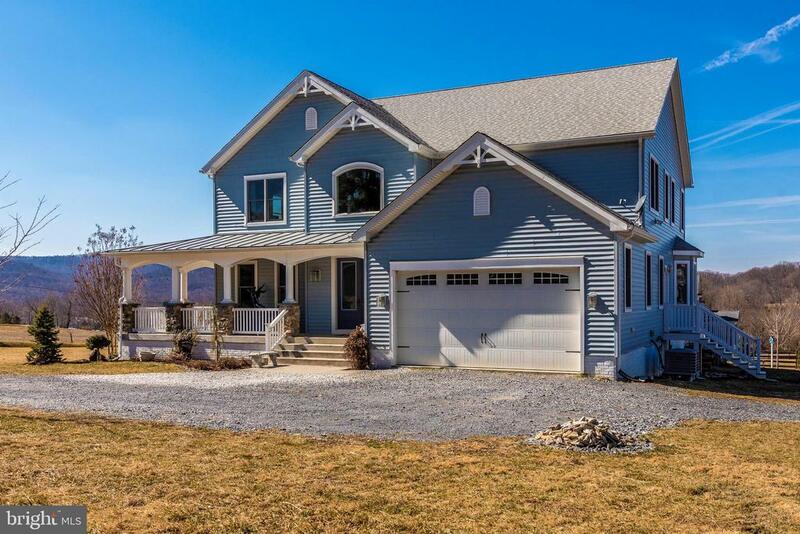 "Located on the Western slope of Braddock Mountain overlooking Middletown Valley. This house is a 3-level, 8,239 sq/ft, all brick building, surrounded by acres of beautiful open space. 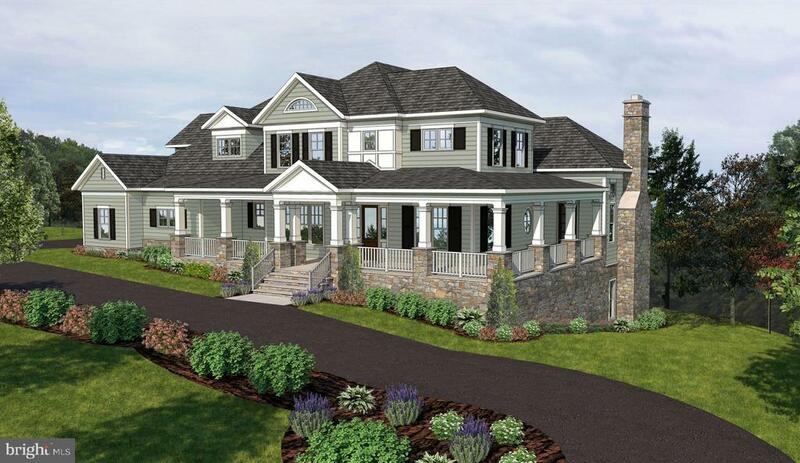 It includes 7,512 sq./ft of finished living area and a 3 car garage! The interior is particularly distinguished by 10 foot ceilings and extensive granite. 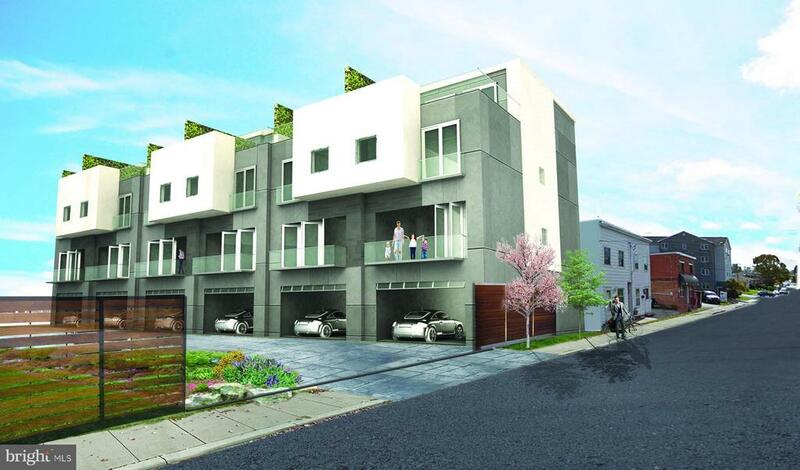 On its Gross Building Area of 8239 sq./ft it is priced at $103 per sq/ft. Come and see before it sells!" "You will fall in love with this custom designed penthouse in the heart of Downtown Frederick overlooking Carroll Creek. This condo was featured in the Frederick Magazine and boasts stunning views of Frederick skyline with a southern exposure, high end finishes throughout and over 2,400 square feet of living space. Designer features include marble floors, 15' ceilings, chefs kitchen, luxury owners bathroom, french antique lighting and some of the most sophisticated finishes money can buy. Secured building with elevator, skywalk to attached garage, 2 parking spaces & more. (No dogs allowed in building)"
"MODEL HOME FOR SALE - Stunning Estate Home IS Loaded with upgrades! The Savannah model features a Gourmet Kitchen with 7-foot quartz center island/bar, glass back splash, butler's pantry, huge walk in pantry w/2nd fridge opening to the gorgeous family room w/floor to ceiling stone gas fireplace. The main level also includes a spacious formal Dining Room w/tray ceiling, main level office w/French doors and mudroom w/built ins. Wide-plank hardwood flooring is featured on entire main level. The upper level includes a spectacular Owner's suite with gorgeous tray ceilings, wide-plank hardwood flooring, tons of windows, sitting area w/built-ins & luxury bath plus 3 additional bedrooms with Jack & Jill and 1 private bath. The finished walk out lower level is an entertainers dream featuring huge recreation room w/wet bar, separate den w/wall of built in wine shelves behind glass, home media room and full bath. Enjoy the additional living space on the amazing covered back deck overlooking the private nearly 1/2 acre acre wooded lot. 3 car garage. Enjoy all the amenities Spring Ridge has to offer. $10k in Closing Assistance with Preferred Lender. For Details contact Michael Weiner 301-580-4046." "MODEL HOME FOR SALE - Gorgeous Estate Home on 1/2 acre wooded lot. 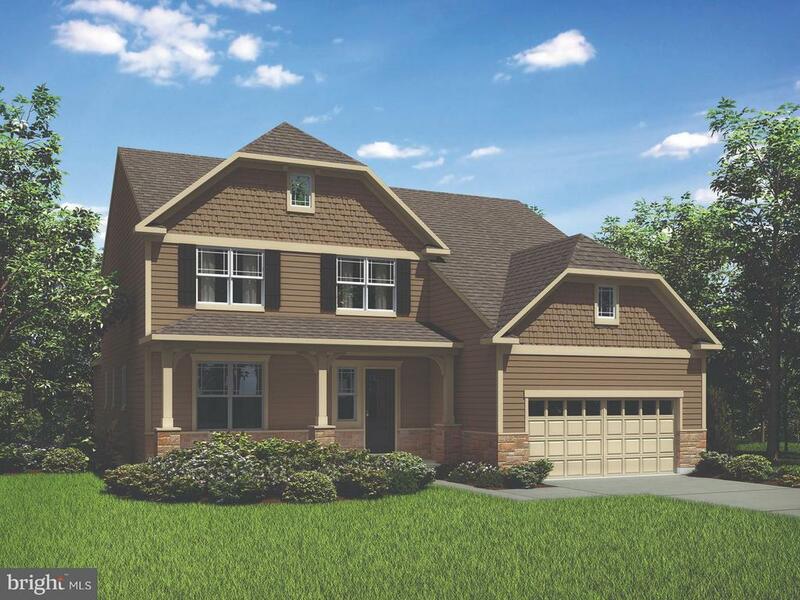 This Savannah plan features: front porch, brick water table, 4 bedrms, 4.5 bths including Jack & Jill Bath, Owner's Suite w Sitting Rm, Formal L/R & D/R w/ Butler's Pantry, Huge Walk-in Pantry, 3 car & side load garages, wet bar, gas fireplace & LOADED WITH UPGRADES! December Settlement PLUS 10K IN CLOSING ASSISTANCE W/PREF LENDER"
"The Spires Luxury Townhouse Suites are located in the the heart of downtown Frederick surrounded by scenic landscapes, historic landmarks, culinary havens, galleries,theaters, and specialty shops, Boutique by design, The Spires is comprised of six townhouse spanning four floors, each boasting remarkable details, expansive views, and infinite possibilities that redefine luxury." "To be built custom home on 12+Acres. Beautiful home site with mountain stream and gorgeous views is ready to build. Builder will also accommodate your home design if desired. Check builder out online (www.northmkt.com) Call agent for details. Cross reference to lot listing MDFR233842. Lot is included in this package price. 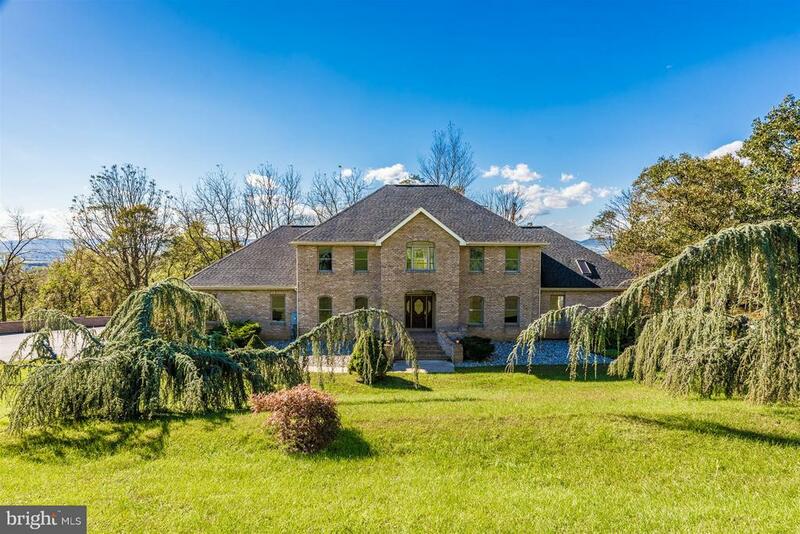 *Illustration and floor plan subject to change*"
"Gorgeous Custom-Built Brick and Stone Home, 6 acres! Located on a wooded lot in a recreational park setting including nearby hiking and biking trails, yet close to Frederick! Featuring a main level master suite with spa bath, ceramic tile, huge walk in closet. Two story great room and loft with stone fireplace, gourmet kitchen. New paint and hardwood flooring. Middletown Schools! Move in ready!" "Visit the Rowan in Tallyn Ridge. Generous upgrades featuring large family room, hardwood on the main level, spacious well-placed family room, gourmet kitchen w/double ovens, large island, granite countertops, SS appliances, a foyer entrance, and finished basement with bath. This is a 'must see'. Don't miss it!! Model open from 11am to 6pm on Mon, Tues, Wed, Thurs....Sat & Sunday. Friday 1pm - 6pm"
"6,000 sq, ft. of home. Brazilian cherry 5 HW flooring in LR, DR, KT & BKRM. Dubonne SD granite in KT with Cherry cabinets. Molding pkgs on 1st & 2nd floors, tray ceiling in FR, MBR w/sitting room. LL offers walkout great room , FP, kitchenette, bedroom w/walk-in closet, f/bath & private office. Great slate patio w/2 tier deck off patio & pool"
"METICULOUS MONTICELLO! RARE OPPORTUNITY TO OWN THIS ONE OWNER HOME! 2ND LARGEST AVAILABLE IN THIS URBANA LOCATION! FROM TOP TO BOTTOM, INSIDE & OUT THIS 8000SF HOME BOASTS OPPORTUNITIES ON EVERY LEVEL FOR ENTERTAINING & UPGRADED COMFORTS FOR LUXURIOUS LIVING! WOW YOUR GUESTS WITH A SPACIOUS LOWER LEVEL WITH AN AMAZING STACKED STONE BAR, GRANITE & WET BAR. PERFECT FOR FAMILY GAME NIGHT, OR THE SERIOUS CARD PLAYER. INTERESTED IN SHOOTING POOL? OR WANT YOUR OWN PERSONAL WORKOUT ROOM...YOU CAN HAVE IT ALL WITH THIS HIGHLY COVETED NV MODEL! STUNNING DUAL STAIRS WELCOME YOU AS YOU ENTER THIS AMAZING HOME! 2-STORY GREAT ROOM WITH CATWALK ABOVE, CUSTOM MOLDINGS THROUGHOUT, BRIGHT, SPACIOUS KITCHEN OFFERS GRANITE, SS APPLIANCES, BUTLER PANTRY. GENEROUS LAUNDRY ROOM WITH CABINETRY & SINK. ON THE UPPER LEVEL EACH BEDROOM IS COMPLIMENTED BY IT'S OWN BATH. THE MASTER SUITE HAS A SITTING ROOM, LARGE MASTER BATH WITH WALK IN CLOSET. ENJOY THE CUSTOM PAVER PATIO OR THE WELCOMING FRONT PORCH ON YOUR QUIET CUL-DE-SAC LOCATION! ENJOY ALL THE OUTSTANDING COMMUNITY AMENITIES URBANA HAS TO OFFER! SEEING IS BELIEVING! 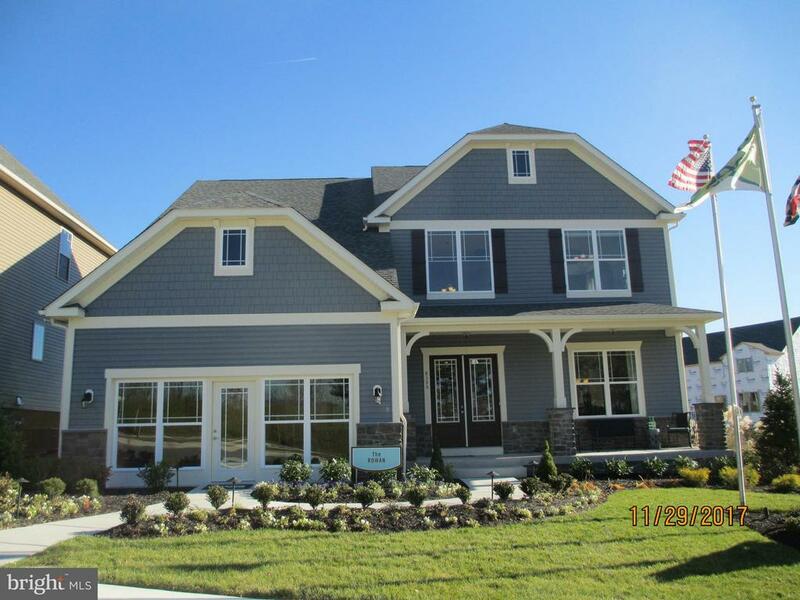 STOP BY TO EXPERIENCE THIS LIMITED ADDITION HOME!" "Build your dream home. Builder ready to go. Can use this plan or your dream home. Lot is being subdivided. List price is for ~3.9 acres with new home to be built." 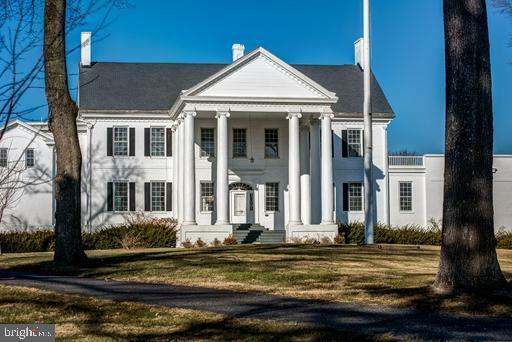 "Historic Prospect Hall For Sale or Lease. Building sits on a beautiful 4 acre parcel located on the west and north of interstates I-270 and I-70. 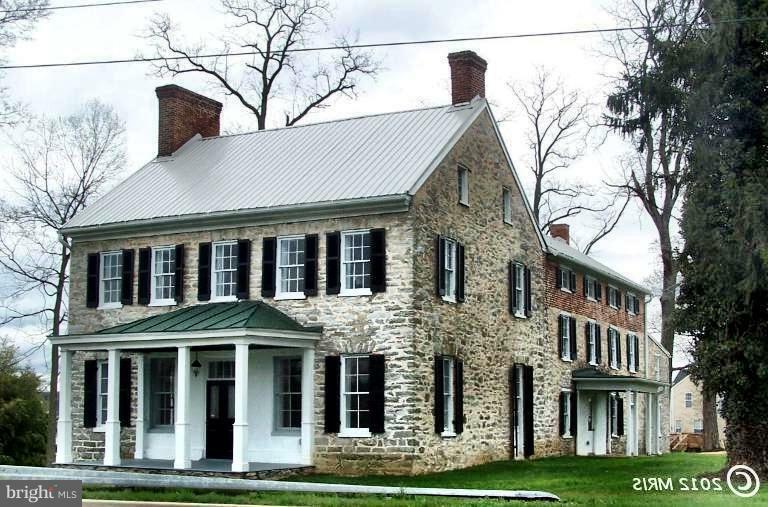 The mansion dates to 1787 and is a nationally registered historic structure. It is positioned on the highest point within City of Frederick. Exterior has just been renovated. Contact Broker for additional information regarding property." 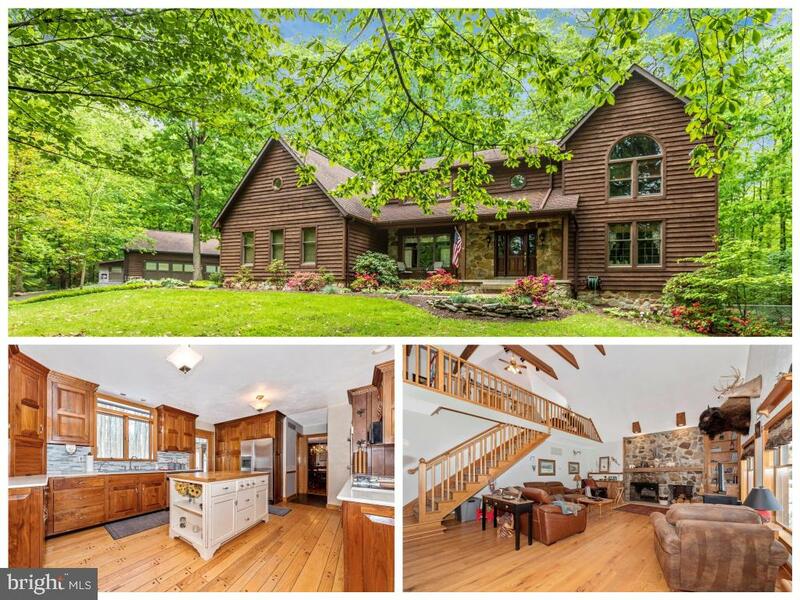 "Stunning single family home nestled on 10 wooded acres complete with a 50' x 50' detached garage & a 60' x 30' pole barn. The main level offers gleaming hardwood floors, a spacious living room and dining room, kitchen with center island and custom made cabinets, breakfast room with a wood stove and a large family room with stone fireplace and soaring ceilings and a 2nd staircase that leads to the loft. The 2nd floor offers an owners suite with walk-in closet and full bathroom, two more large bedrooms & a 2nd full bathroom. The basement offers a 4th bedroom, 3rd full bathroom, rec room/den, storage area and a one car garage. The exterior of this home offers as much as the inside! You will not be disappointed." "This home, to be built, is in the Prestigious Jackson Mountain Estates subdivision. Close to Frederick but no city taxes. There is an HOA. in place. There are other Plans and Pricing available." "NEW CONSTRUCTION! Stunning Comstock ~Savannah~ model home, offering many upgrades, in desirable Spring Ridge community. Featuring four bedrooms, three full baths, and powder room. Nearly one-half acre home site backing to woods. Spacious 9-foot ceilings on all levels. Roomy 3-car garage. Charming covered front porch. Expansive chef-inspired gourmet kitchen comes complete with 42-inch Shaker-style ~Alpine White~ cabinets, 7-foot ~Moon White~ granite center-island, Whirlpool stainless appliances, including 25 cubic-foot French door refrigerator, 36-inch gas cooktop, elegant glass hood range, and double oven. Huge walk-in kitchen pantry. Large sunroom and five-foot family room extension for added living space. Main level home office. Rich wide-plank hardwood flooring in foyer, kitchen, walk-in pantry, breakfast nook, family room, dining room, sunroom, home office, powder room, and second-level hallway. Classic oak staircase from main level to second floor. Toasty gas fireplace with granite surrounds in spacious light-filled family room. Oversized laundry room conveniently located on bedroom level. King-sized owner~s suite features sitting room and two large walk-in closets. Lower-level walk-up with double areaway. Exterior finished with a finely-crafted brick watertable. Energy-efficient dual-zone HVAC system. 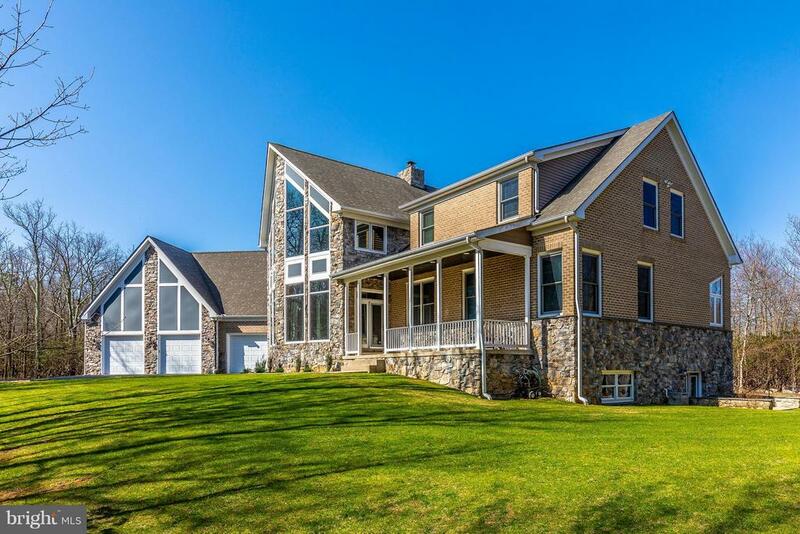 This ideal Frederick location offers easy access to Baltimore and Washington. $10,000 in closing cost assistance using preferred lender and title company. Contact Michael Weiner at (301) 580-4046." "NEW CONSTRUCTION. Stunning new Comstock ~Dartmouth~ model home, offering many upgrades, in desirable Spring Ridge community. Featuring four bedrooms, three full baths, and powder room. More than one-half acre home site backing to woods. Spacious 9-foot ceilings on all levels. Roomy three-car garage. Expansive chef-inspired gourmet kitchen features 42-inch ~Alpine White~ Shaker-style cabinets, 7-foot ~Pebble Beach~ quartz center-island, Whirlpool stainless appliances, including 25 cubic-foot French door refrigerator, sleek 36-inch gas cooktop, elegant glass hood range, and double oven. Sunroom and family room extension for added living space. Main level home office. Rich wide-plank hardwood flooring in foyer, kitchen, family room, dining room, home office, sunroom, powder room, and second-level hallway. Classic oak staircases. Toasty two-sided gas fireplace with granite surrounds in spacious light-filled family room. Charming covered front porch and rear covered deck that's perfect for entertaining. Laundry room conveniently located on bedroom level. King-sized owner's suite features two large walk-in closets. Luxury owner's bath offers a soaking tub. Exterior of home finished with a finely-crafted brick water table. Energy-efficient dual-zone HVAC system provides the ultimate in climate control. 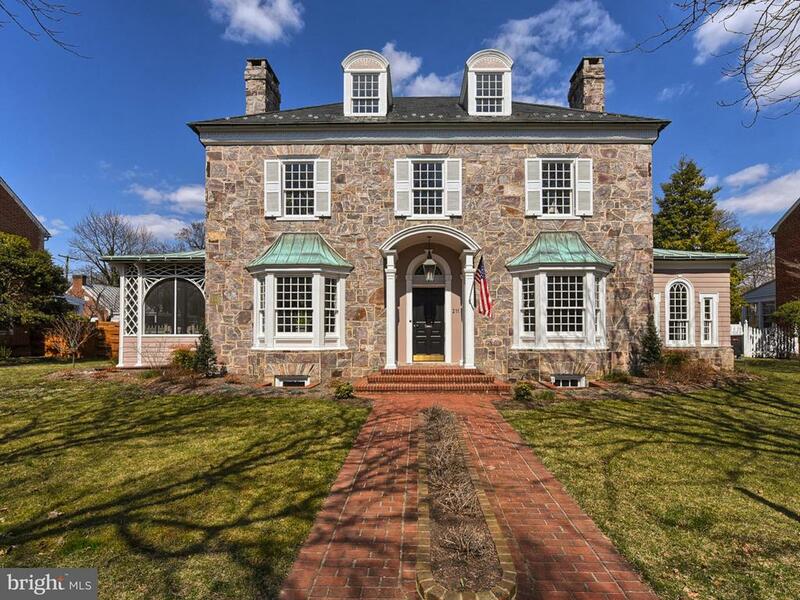 This ideal Frederick location offers easy access to Baltimore and Washington. $10,000 in closing cost assistance using preferred lender and title company. Contact Michael Weiner at (301) 580-4046." 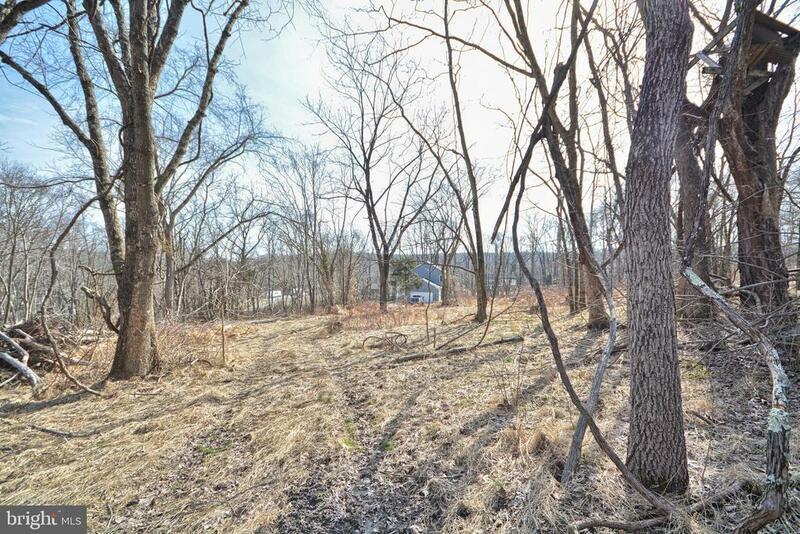 "Come build your dream home on this 1.6 acre lot just outside of Urbana. Wooded lot has a 4 BR Perc and well. Have North Market Construction build your dream home or bring your own builder. Call LA with questions." 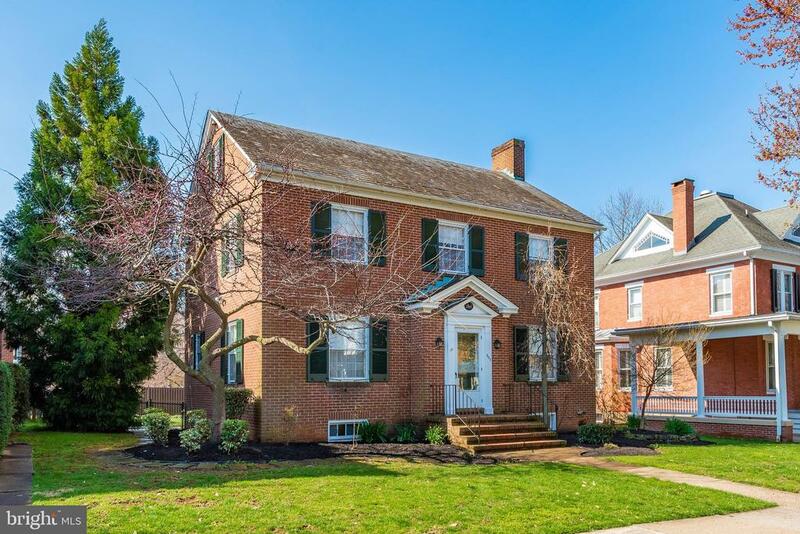 "This is a great opportunity to own a classic home on one of Frederick's most desirable streets - Rockwell Terrace. Built in 1945, this center-hall vintage home is ready for your personal touch. This 4-level home is of solid brick construction with a slate roof and hardwood floors. A delightful rear garden is landscaped and includes special beds for growing vegetables. Beyond the garden gate is off-street paved parking for up to 3 cars. The rear view is of the stately trees of Memorial Park. Baker Park, with its recreation center, tennis courts, and walking paths, is just steps away. Walk to all that downtown Frederick has to offer." "Extremely well maintained 6 BR 4.5 Bath gorgeous home on a premium corner lot and one of the largest with views located next to landscaped park area. 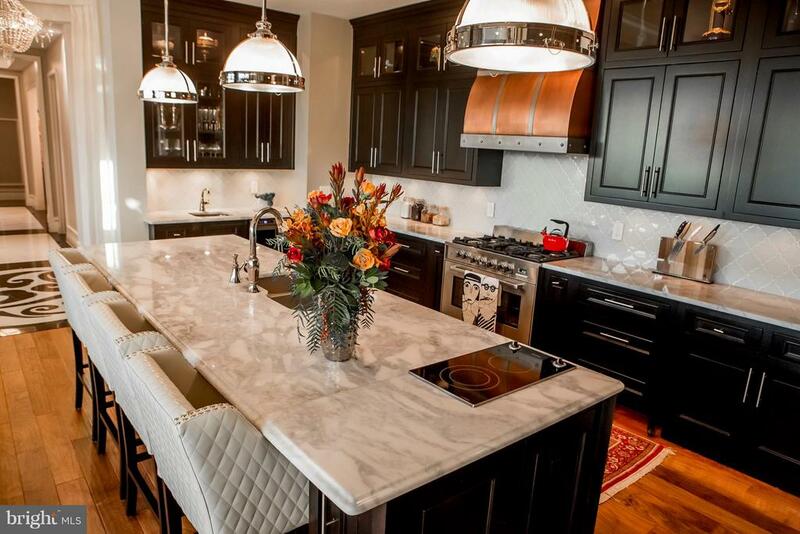 Beautiful kitchen with granite countertops, large island, SS appliances and cherry cabinets. Main level features gleaming hardwood floors. 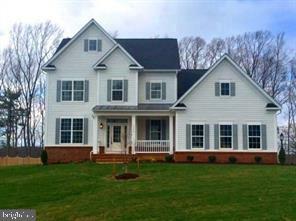 Large master suite with sitting area, tray ceiling, fireplace, 2 walk-in closet and beautiful master bath. Spacious walk-out basement with 6th BR and a full bath. A wet bar equipped with a dishwasher, fridge and adjacent pantry makes this great for entertaining. Other features include 3 gas fireplaces, tall ceilings on every level, front porch and nicely landscaped yard. These original owners have taken great care in their home and it shows." 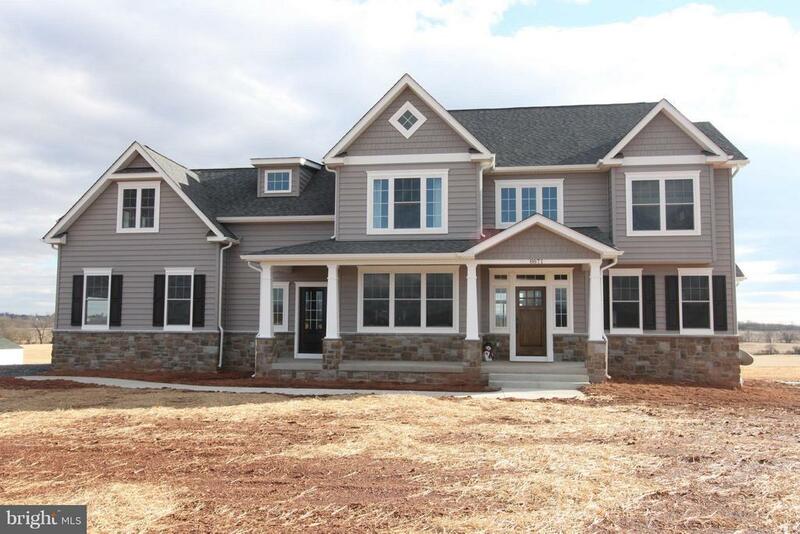 "Immediate Delivery Rowan in Tallyn Ridge. Generous upgrades featuring large family room, hardwood on the main level, spacious well-placed family room, gourmet kitchen w/double ovens, large island, granite countertops, SS appliances, a foyer entrance, and finished basement with bath. Note.....3 car front load garage!! !This is a 'must see'. Don't miss it!! Model open from 11am to 6pm on Mon, Tues, Wed, Thurs....Sat & Sunday. Friday 1pm - 6pm"